Arbonne sells botanically-based skin care, wellness and nutrition products. This is a well-known company. Their products are high quality. These products are a little pricier than some other direct sales companies. This is something to note as your first sales pitches are usually directed at those within your inner networking circle. If these are products within their price range, you could become an Arbonne Consultant. There are required business-building quotas to retain your Consultant status. Compensation: 35% discount on Arbonne products. 15% Preferred Client Commissions. Override bonuses are also available on your downline. Manager and President level positions are available. Start-Up Costs: The starter kit is currently $109. This includes 10 samples, 10 catalogs and training and sales aids. You can also take advantage of introductory discounts to purchase products for display, to sell or for your personal use. Quotas to Maintain Active Status: $150 in Retail Value sales in two of three consecutive months and sponsor two or more Preferred Clients who also accumulate $150 in Product Retail Value within their first month. 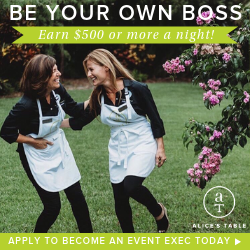 Hostess Rewards: Arbonne offers a hostess rewards program. $50 in product is available for hostesses with parties totaling over $150 in Product Retail Value. Additional bonuses are available as the party size increases. A Preferred Client program is also available for those not wanting to become a Consultant. This is a $29 start-up fee which will allow you to purchase products at a 20% discount and earn product for referrals and hosting demonstrations. Arbonne has moved more towards having their Consultants push for Preferred Clients. This encourages repeat sales through discounts. The referring Consultant earns 15% of these recurring sales.